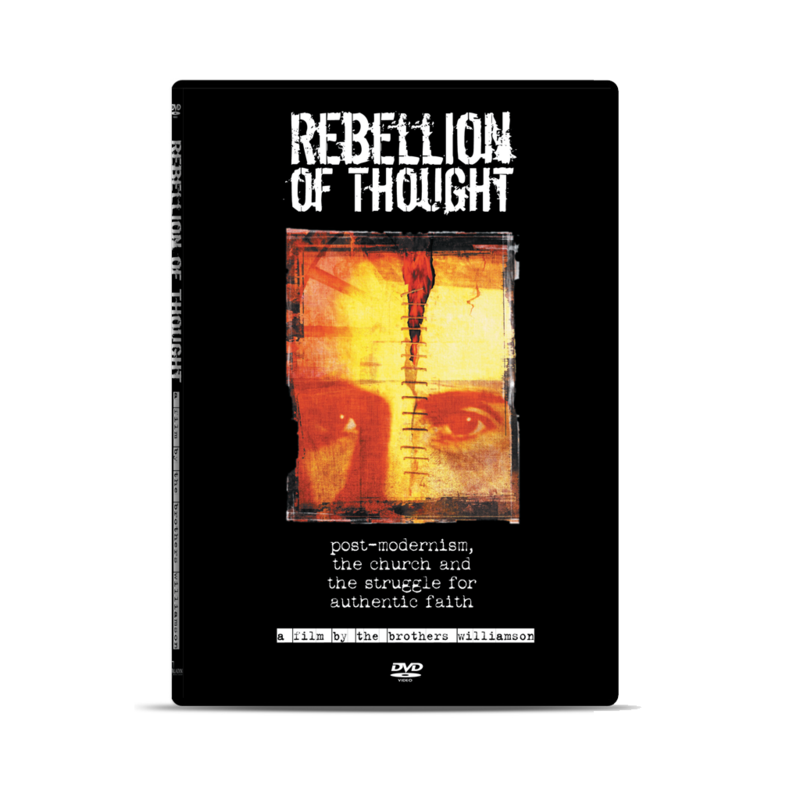 Rebellion of Thought: Post-Modernism, the Church, and the struggle for authentic faith. What is post-modernism? How has it affected our culture? How will it impact our future? What is the role of the church in a post-modern world? Does man truly need God or is God merely a fairytale idea left-over from a past cultural experiment? These questions are the launching point for Rebellion of Thought, as The Brothers Williamson, examine a new generation that refuses to accept authority, code and convention. How do believers in Christ express their faith in a compelling, relevant way? Featuring experts who take a critical look at the role of authentic Christian faith in a post-modern culture. They don't just dance around the edges of this mind-splitting phenomenon. They ask the searing, heart-rending yet necessary questions and offer some thoughtful and tangible solutions. Raw, urgent music by a variety of Indie bands provides the musical context for this journey. 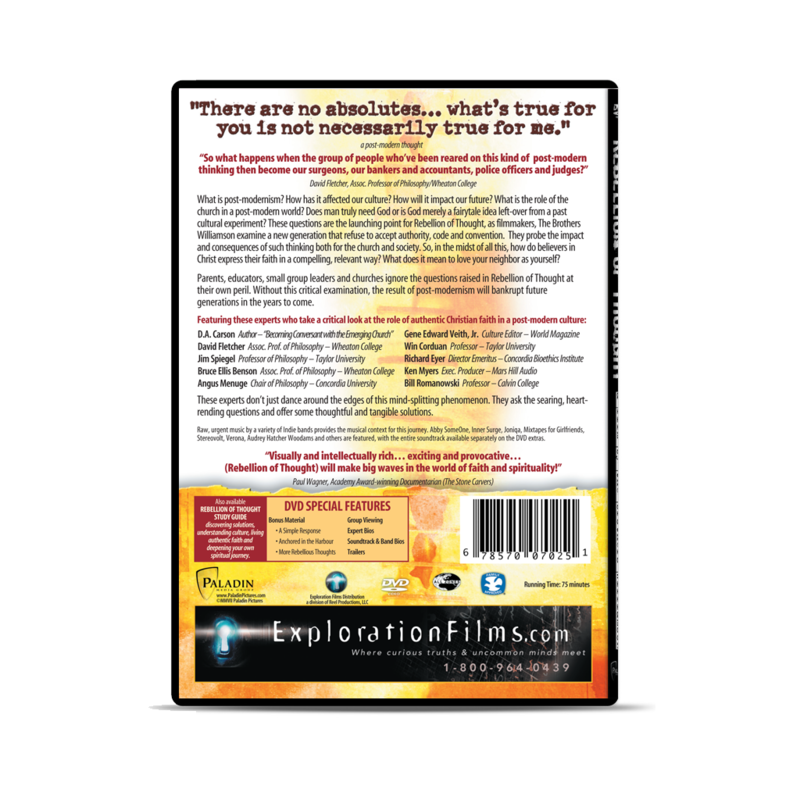 Abby Someone, Inner Surge, Joniqa, Mixtapes for Girlfriends, Stereovolt, West of Verona, Audrey Hatcher Woodams and others are featured, with the entire soundtrack available separately on the DVD extras. 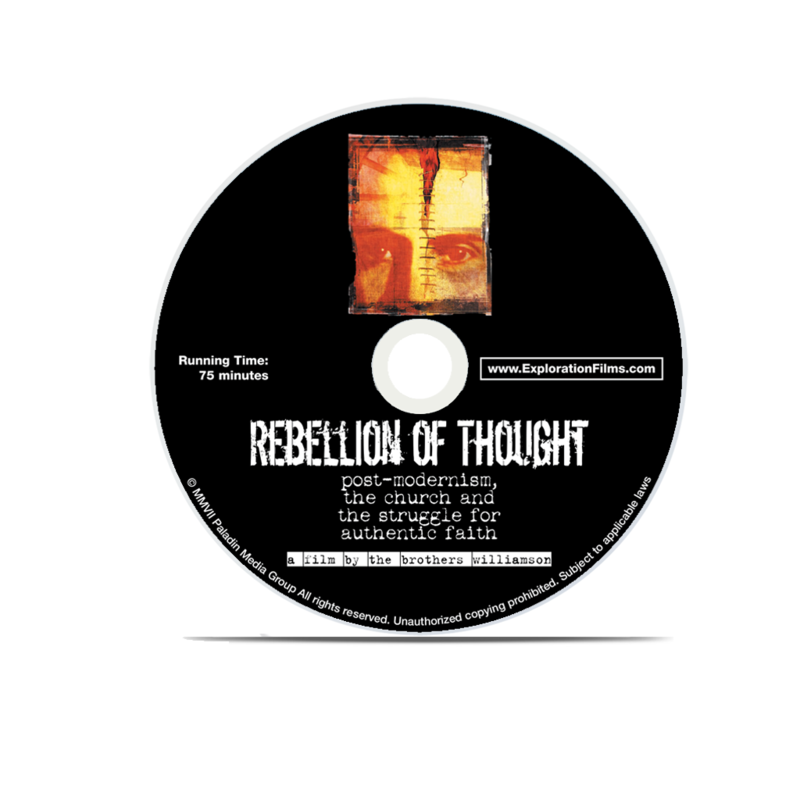 Learn more about Rebellion of Thought at the film's official website.